Our Guest Writer this week is Joe Delaney, Resident of Lancaster West Estate and representative on the Grenfell Recovery Scrutiny Committee. 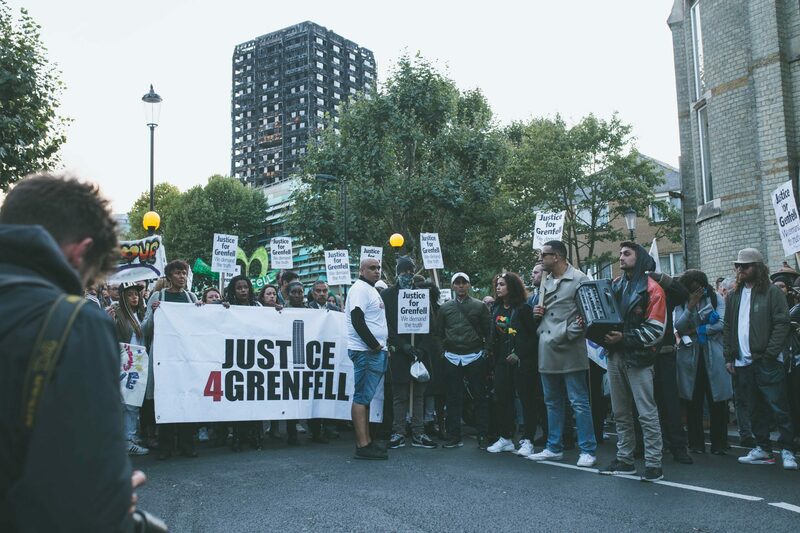 Whilst all of us in the area have heard the various organisations involved in the management and renovation of Grenfell Tower express their sorrow and sympathy for what happened. We’ve not heard a single one of them accept responsibility for the tragedy which has caused at least 72 deaths and upended the lives of countless others. Week four of the Inquiry was when we first heard from some of the experts it had appointed; they spoke about the fire safety measures present (or not), the cause and origin of the fire, and its spread throughout the Tower. None of these experts spoke about blame or assignment of blame, but that does not mean that this hasn’t been happening already – it seems that there are plenty of armchair experts who know exactly who is to blame and oddly, their views do not match those find in our community. A major target of blame so far has been Behailu Kebede from Flat 16; people who were not there on the night of the fire seem to think that they are in a better position to describe and condemn Behailu’s behaviour. They say that he had packed his entire household up without warning neighbours and that his carelessness lead to the fire spreading from his home to the rest of the building. Hopefully, such nonsense has now been dismissed once and for all – the witness statements of Behailu and other residents of Flat 16 as well as the CCTV evidence submitted show that neighbours were alerted and Behailu worked quickly to get the fire brigade to attend. So this week gave the armchair experts another target; the firefighters. Let me be clear about something at this point; I do feel that the policies, procedures, training, and staffing of the fire brigade leave a lot to be desired but it is NOT within the power of individual firefighters to alter or override these and so I do NOT feel that blame lies with individual firefighters on the ground that night. For people to now say that individual firefighters and their actions that night are the cause of this fire is absurd; whilst the Fire Brigade and its policy makers certainly have a lot to answer for, the individual firefighters do not. Evidence from firefighters will continue into next week, so I am sure we will no doubt hear more from the armchair experts who know so much. Someone else who has recently had a lot to say about blame is Andrew O’Hagan in his piece The Tower published in the London Review of Books (LRB). Much criticism has already been levelled at the accuracy of this piece; numerous corrections has been made to the online piece and no doubt many more will be made in the weeks to come, but the damage such pieces can do to the morale of those at the centre of this tragedy cannot be underestimated. What I find most disturbing about O’Hagan’s work comes from the interview he gave afterwards for an LRB podcast, in which O’Hagan muses that perhaps we are all to blame for Grenfell. Whilst on the surface this seems a fairly innocuous comment on the state of modern society, it is an extremely dangerous position to take regarding the causes and consequences of the Grenfell Tower fire. After all if everyone is to blame, then it actually means that no one is – this would certainly suit the organisations and individuals in both the public and private sector who have a lot to answer for but it certainly doesn’t suit any of the victims. This Inquiry is going to take a lot of time, money, and effort to complete; the police investigation is still progressing too. 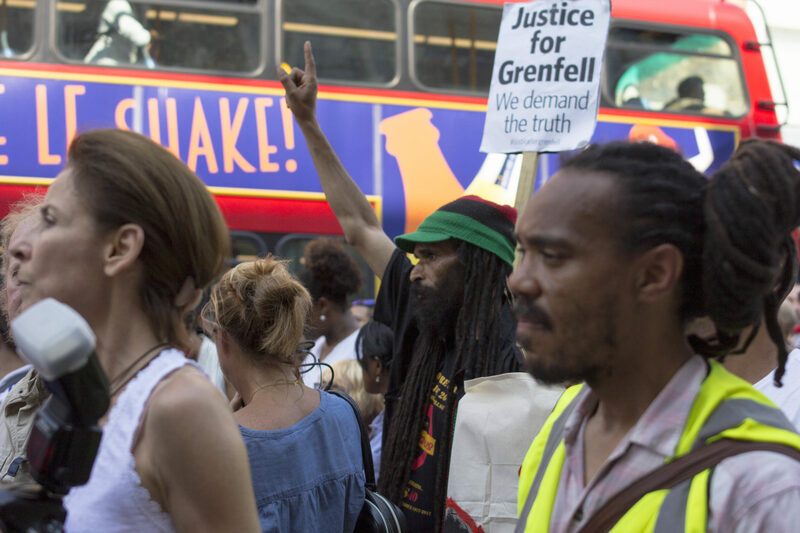 I would much rather wait until all of the evidence for both of these is public before making final decisions on apportioning blame – I just hope that everyone else feels the same as this will be the only way that we have a chance of ever seeing any justice for Grenfell.